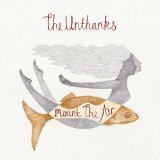 From the first note, it is clear that Mount the Air, the long-awaited new album from The Unthanks, is more than a mere collection of songs. It’s a lot to do with the honest, unfussy vocals of Rachel and Becky Unthank, which are the calm at the centre of each vividly rendered folk tale. It’s partly due to Tom Arthurs’ insistent, mournful trumpet, which is one of the driving forces in this immersive listening experience. And Niopha Keegan’s mesmerising fiddle. And the layers of sound that build beneath elemental lyrics without once overwhelming the compelling stories as they unravel. 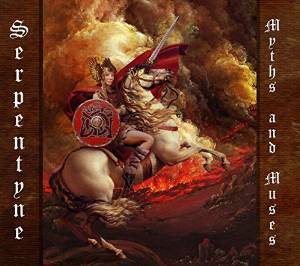 In fact, there soon comes a point at which you stop analysing what makes Mount the Air such a quietly majestic piece of art, awash with inspired musical references and nuances, and just let it happen to you. Not bad for a record that’s taken two years to make, was crafted in a home-spun studio in an old granary, and is released on the band’s own RabbleRouser label – The Unthanks having stoutly resisted overtures from major names clamouring to represent them. The extraordinary result is an important album, which shimmers on the cusp between drama and documentary – like a classic Ken Loach film. It is rooted in the environment of The Unthanks’ Northumbrian heritage but equally, reaches out across a far wider musical landscape to embrace Blue Note jazz accents, lullabies, cinema soundtracks, Balkan beats and world music influences. And it’s a testament to the collaborative song-writing skills of the five-strong band. From the title track to “Madam”, a bleak tale of faded beauty and betrayal, to the harmonic glories of “Magpie” – a perfect earworm for a long train journey punctuated by sightings of that troublesome bird – and the bittersweet cadences of “Foundling”, navigating the delicate line between hope and despair, the album’s elegiac progress is a triumphant blend of atmosphere and emotion. Numbers like “Hawthorn”, “Flutter” and “Waiting” combine the ancient feel of classic folk songs with a contemporary resonance that marks The Unthanks as a vital, innovative presence on the British music scene. Essential listening.